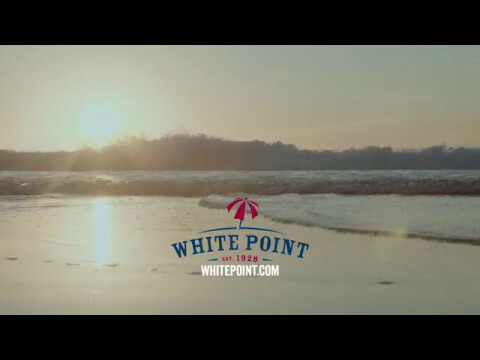 Ring in 2020 at White Point Beach Resort! 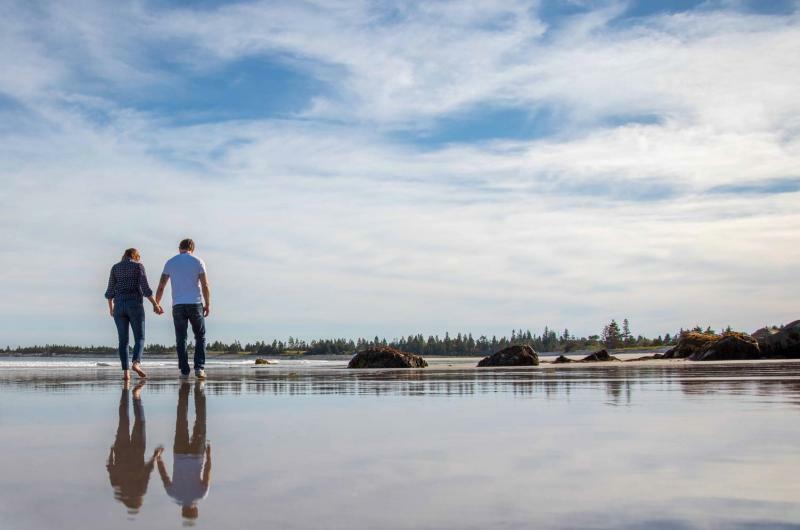 Established in 1928, White Point Beach Resort is a year-round, oceanfront beach vacation destination centrally located on Nova Scotia's South Shore, within the UNESCO Southwest Nova Biosphere Reserve. White Point features a new main lodge – inspired, crafted and created by Nova Scotians – and refreshed cottages and guest rooms. 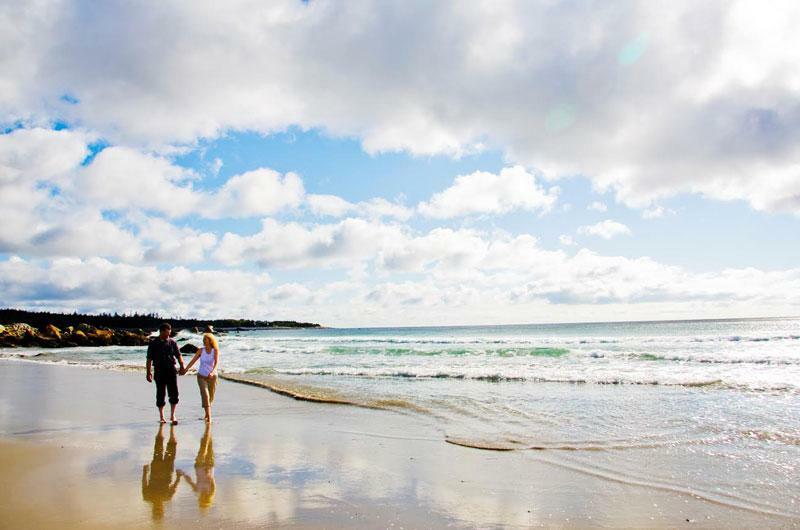 Choose from oceanfront and White Point cottages, guest rooms and vacation homes; exciting programs for all ages; and event/conference facilities. Surrounded by water and the sound of pounding ocean surf, White Point boasts an extensive variety of recreation facilities and programs. The 1-km sandy beach is perfect for relaxing, strolling and enjoying the soft white sand and pounding surf. The rolling waves of the Atlantic are perfect for playing in with a boogie board or even surfing – yes, lessons are available year-round! While the beach is considered a main attraction, the freshwater lake has a boathouse with canoes and paddleboats enjoyed by all. Take a paddle around the islands and even go for a swim. Kayaks and surfing equipment are also available from the boathouse. The indoor heated pool, hot tub and sauna, outdoor pool, tennis courts and beach volleyball area are all very popular with guests and visitors. There are also nature trails, a CPGA Donald J. Ross designed 9-hole golf course (golf lessons available), day spa, fitness room, recreation centre, games room, children's playground, and a variety of complimentary recreation programs and activities for all ages. There are nightly, beachside bonfires to roast marshmallows and even mussel bakes, occasionally. Theme weekends from September to June offer unique experiences for all. A daily schedule of fun is offered with our compliments in July and August. 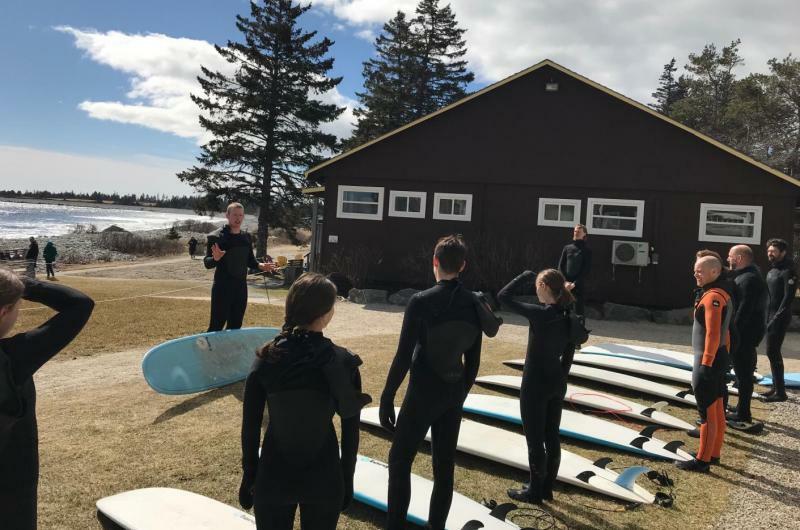 Rossignol Surf Shop offers a full service experience including lessons and rentals from the boat house. In winter, curl up by the fireplace, go lobster fishing or surfing – or roast s'mores by starlight. White Point is centrally located on Nova Scotia's South Shore, just 90 minutes from historic Halifax, with a variety of day trips at our doorstep including the UNESCO World Heritage Site Lunenburg, Kejimkujik National Park and Seaside, whale watching on the Bay of Fundy, and the vineyards of the Annapolis Valley to name a few. Our accommodations include 121 units (King, Queen, Double, Twin, Single): 46 cottages (1- to 3-bedroom; winterized with a fireplace or woodstove in living room; balcony, bar fridge, microwave, coffee maker, DVD player and complimentary firewood); 61 rooms and 13 convenient vacation homes. All accommodations include a 4-piece bath, colour cable television, goose down duvets, hair dryer, iron and ironing board. There are cots available ($15.00 fee per day). Other amenities include a licensed dining room, lounge with live entertainment, and gift shop. Pets are welcomed in most accommodations with a $25/stay pet fee. White Point is a proud member of Taste of Nova Scotia and celebrates the bounty of our harvests in our menus. While our dinner buffets have become famous, featuring many local dishes and favourites, the menu in the Elliot's Dining Room will definitely whet your appetite. The wine menu also features the most extensive Nova Scotia wine list in the province. Dining at White Point is a must as you enjoy the stunning views overlooking the Atlantic Ocean. Of course, we must mention the bunnies at White Point. Guests of all ages are delighted to be greeted by our resident bunnies who only ask that you grab your bag of bunny food (complimentary) from the front desk and feed them! Visa, MasterCard and Direct Debit are accepted. White Point is proud to hold the following designations: RCI Gold Crown Resort, Four Green Key, CAA/AAA Rated, Nova Scotia Approved, Taste of Nova Scotia. Directions: Hwy 103, Exit 20 or 20A.